Call me a cranky old cynic, but I see no reason why anyone would spend their time and money watching the OnePlus 5T launch event at a movie theater. You can, but you shouldn’t. If you’re in one of India’s major cities like Mumbai, New Delhi, Bangalore, or Hyderabad, you can pay Rs. 99 ($1.50) to watch the presentation in a multiplex theater on November 16, and then check out the phone in person and receive some swag. You’re literally paying to watch an ad. Truth be told, I’m looking forward to the 5T: I liked the OnePlus 5 enough that I’m keen to see if its successor could indeed serve as my daily driver for the next year. 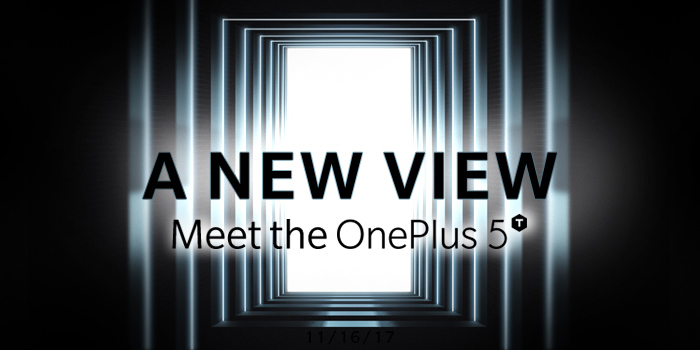 But it’s just a phone, and it’s almost certainly going to be nothing more than a design upgrade, with slimmer bezels, from the OnePlus 5 that’s been around for months. I don’t mean to tell you how to live your life. Your enthusiasm and love of new tech is what drives us to write about it daily, and it’s what keeps us afloat. But there are so many better ways to spend two hours of your time than to watch a phone launch at a theater, that I feel like I should at least suggest that you consider an alternative. I’m probably guilty of this sort of consumerism in some other sphere of life, with some other brand that I subscribe to. But I can’t help but wonder why OnePlus couldn’t have sweetened the deal for its fans a bit, so they wouldn’t feel like they’re being played. For example, why not simply host these screenings for free, and arrange a photo walk for people with the new phone? There’s merit in creating a community of customers who love your brand, and it’s worth exploring ways to create more meaningful experiences for fans, and helping them connect with the interests that turned them on to your products in the first place. But OnePlus’ effort seems vapid in comparison to anything I’ve seen from others, and we’d be doing ourselves a disservice by paying to further their marketing campaign. By all means, enjoy the brands that make things you like. But let’s try to avoid giving them more than we get back.